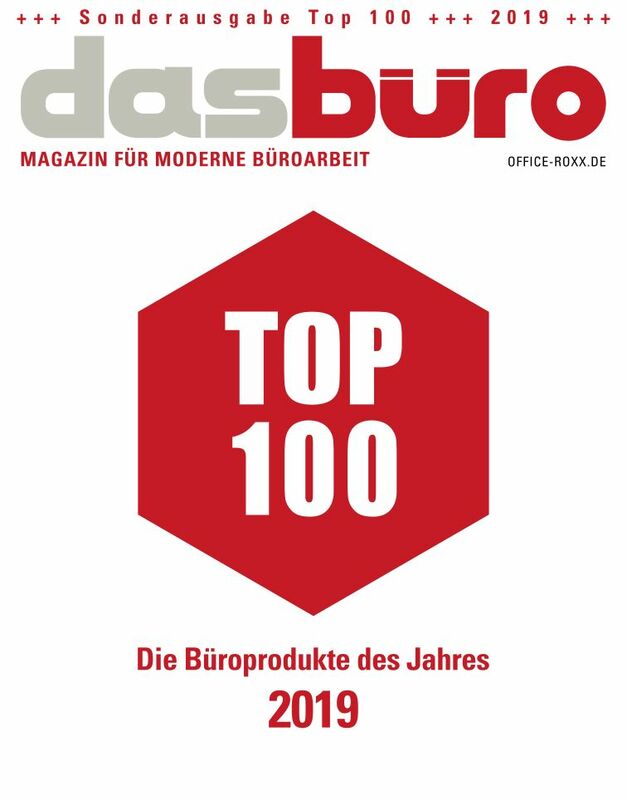 Das Büro is the only Ger­man office maga­zi­ne which covers the ent­i­re spec­trum of office rela­ted topics: office cul­tu­re, office equip­ment, office tech­no­lo­gy and office sup­plies. Com­pe­tent, com­pact and com­ple­te. The high-qua­li­ty sup­ple­ments are enc­lo­sed as spe­cial publi­ca­ti­ons to renow­ned news­pa­pers and busi­ness maga­zi­nes like Frank­fur­ter All­ge­mei­ne Zei­tung, Süd­deut­sche Zei­tung, Wirt­schafts­Wo­che and Han­dels­blatt (print run at least 100,000 copies). 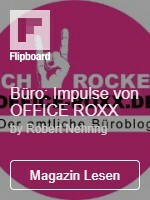 OFFICE ROXX pro­vi­des infor­ma­ti­on about modern offices in all its facets. Fea­tured are news, pro­duct recom­men­da­ti­ons and com­pa­ri­sons, guest posts, user and fair reports, check­lists, tips, tests, reviews and many more. Also on Face­book, Twit­ter and Flip­board. OFFICE DEALZZ informs about all are­as of the office eco­no­my and bey­ond. The por­tal is aimed at indus­try and com­mer­ce. OFFICE DEALZZ is a “hub for manu­fac­tu­rers and dea­lers”. It sees its­elf as a bridge bet­ween pro­du­cers and sel­lers. Also on Face­book, Twit­ter and Flip­board. The insti­tu­te explo­res cur­rent deve­lop­ments con­cer­ning good – pro­duc­tive, healt­hy and com­for­ta­ble – office work. The insti­tu­te pres­ents its know­ledge at events (main­ly at so cal­led office trend fora „Büro­t­rend­fo­ren“), in publi­ca­ti­ons and with cam­pai­gns, cur­r­ent­ly „Auf­stand im Büro“ („Stand up in the Office“) for more sit-stand solu­ti­ons, „Bewe­gung im Büro“ („Move­ment in the Office“) for more dyna­mic sit­ting and „Quiet plea­se!“ for bet­ter room accoustics. The DIMBA aca­de­my also orga­ni­zes semi­nars and tra­de fair tours. The publi­shing house also ope­ra­tes in the field of cor­po­ra­te publi­shing. Its offers inclu­de com­pa­ny maga­zi­nes, book pro­duc­tions, com­pa­ny reports, pro­duc­tion of moving images and many more. With its print maga­zi­nes, online por­tals and the insti­tu­te which also orga­ni­zes events and publi­ci­ty cam­pai­gns the PRIMA VIER Nehring Ver­lag is the lea­ding publi­shing house in Ger­ma­ny for the office sec­tor. The only publi­shing house which covers the ent­i­re spec­trum of office rela­ted topics: office cul­tu­re, office equip­ment, office tech­no­lo­gy and office sup­plies. The only publi­shing house which addres­ses all rele­vant tar­get groups: com­pa­ny owners, purcha­sing mana­gers, office mana­gers, entre­pre­neurs, retail tra­ders, archi­tec­ts, com­pa­ny medi­cal offi­cers. Among the dif­fe­rent office maga­zi­nes the pro­duc­ts of the publi­shing house achie­ve the lar­gest reach.